Two physio rooms, six pitches, eight dressing rooms – and a very small reception area. 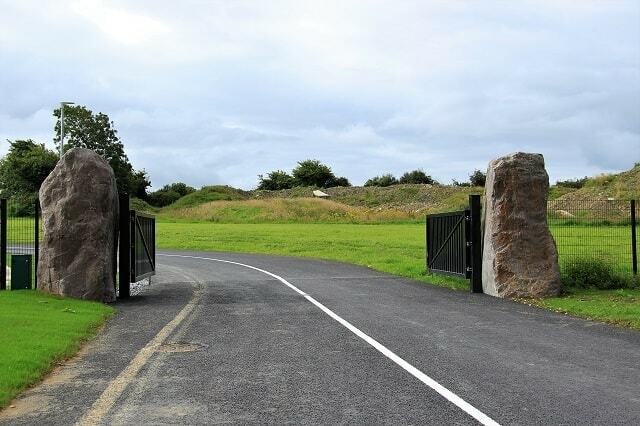 Kerry GAA were determined to prioritise the important stuff when they finalised plans for a €7m Centre of Excellence. The almost finished product threw open its doors on Saturday (August 12th) for the first time, with Kerry GAA secretary Peter Twiss, explaining the philosophy and the big picture thinking. Four of the six pitches will be floodlit and ready for use for the county’s teams pre-2018 season by November, though in reality it will be the new year before inter-county squads begin using their new training base in the county. “However, November is still our cut-off point to be ready, our tenders are back for the floodlighting, and so a supplier will be appointed in the next 10 days,” Tim Murphy said. The spider web design of the facility means it works from the centre out. At its heart is a massive gym with 30m testing track, which is perimetered by a circle of eight dressing rooms, including one specifically for ladies teams. Each of the dressing rooms has its own exits to the pitches, avoiding any traffic through the heart of the centre. Upstairs is a central 50-seater auditorium, video room and eating facilities, one for senior teams and a second for under age. The previous Kerry chairman pulled a lot of dollars from a lot of deep pockets through his ability to network his way through key boardrooms in New York over the past few years. “Patrick was ahead of his time,” Peter Twiss maintains. “I’d say very few GAA chairmen achieved what he did in America. He has great vision and he has a greater appreciation of the Kerry GAA brand than most others. It was only when we went to America we had our eyes opened to what the brand means. “I never saw anyone like him for tapping into that passion for Kerry. It’s worldwide. Kerry has €1.5m and change to find to pay for land purchase and developments to date. Four floodlit pitches will be good to go in November, the other two pitches will be developed as and when needed and fundable. But Tim Murphy, a quantity surveyor by trade, feels they’ve got the Centre of Excellence right. Kerry were determined to prioritise the important stuff when they finalised plans. Éamonn Fitzmaurice and Peter Keane would concur. It means both can coach and nurture talent and not fret over where their inter-county squads will train next winter or the one after. 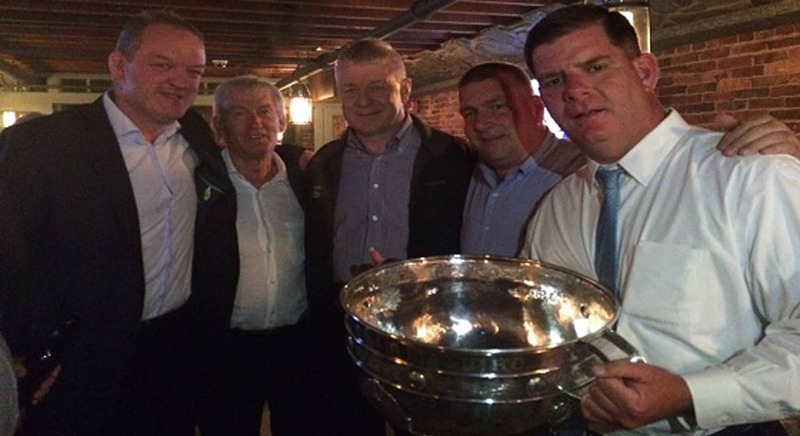 Main Picture: Kerry GAA Chairperson Patrick O Sullivan being welcomed in Boston by Mayor Martin Walsh also in picture Mick Galwey, Ger O Keeffe, Seanie Walsh. 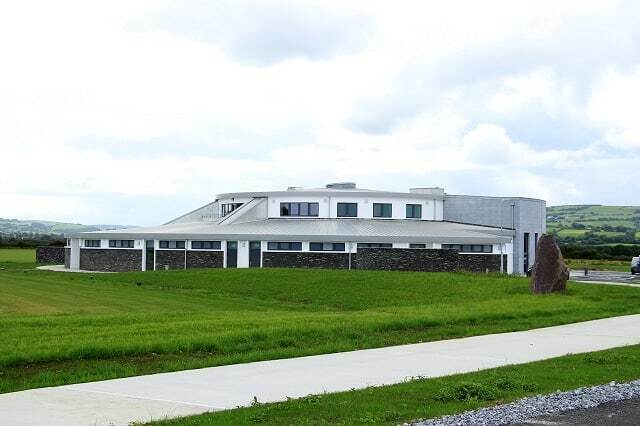 American businessmen and artists are joining Kerry artists, craftsmen and companies in a show of unprecedented support for the new Kerry Gaelic Athletic Association (GAA) Centre of Excellence that is scheduled for completion by fall 2016. A glamorous gala event at the Plaza Hotel in New York City on May 28, plus other events in Boston, Chicago and London this spring, will bring the fundraising effort to 85 percent of the €6 million goal to cover the cost of facility development and construction. The New York fundraiser expands on the success of last year’s event that saw 350 businessmen and supporters pay $1,000 a seat to attend, meet Kerry Gaelic football legends, and bid on GAA memorabilia. It raised nearly a half-million dollars in one evening for the Centre of Excellence. This year there will be 400 attendees, and the auction will feature high-end works of art and craft from Kerry-based and New York artists, plus items from international sports figures and local luxury goods producers. 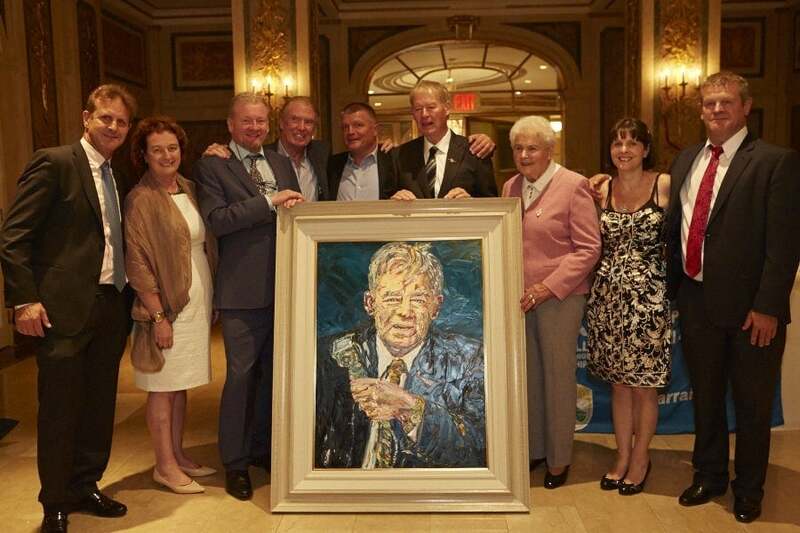 Some of the unique Kerry donations created specifically for the event include a portrait of Mícheál Ó Muircheartaigh by renowned painter Liam O’Neill, and a four-foot-high urn by potter Louis Mulcahy depicting Saint Brendan sailing to America and the Statue of Liberty. Tony O’Shea of Ambri Wood Pieces carved a Gaelic football out of 200-year-old wood that is mounted and signed by five top All-Ireland winners. Other participating talented Kerry locals include seascape painter Carol Cronin, sports action painter Paul Downey, coastline painter John Hurley and goldsmith Brian de Staic. There’s a custom-made dress from Ballyheigue-based designer Don O’Neill and a cask of whiskey from Dingle Distillery. Artist support for the fundraiser reaches beyond Kerry too, including watercolor painter Peter Knuttel of Wicklow, New York artist Valerie Hammond, and New York fine art photographer Neil Latham who donated silver gelatin photographs from his American Thoroughbred Collection. From the golfing world, there’s a pitching wedge from Shane Lowry; signed and mounted flags from Rory McIlroy; and a Ryder Cup flag signed by Tom Watson and Paul McGinley. Comedian/actor Denis Leary, who has Kerry roots, donated a signed box set of his comedy highlights. There will also be a benefit to the diaspora says Deenihan, as young players and GAA clubs from around the world can come and develop their game skills at the Centre of Excellence in summer camps, while their families take a holiday in the vicinity. “It could become another pillar in the Kerry tourism industry,” he adds. Kerry head coach Eamonn Fitzmaurice says the impact of the new facilities will be huge in terms of team preparation. “We’ll finally have a base that we can call our own to train our teams to the best of their abilities with floodlit pitches and a selection of equipment all in one place,” he says. There are currently only five floodlit pitches in County Kerry. With more kids playing per population than any other county and 73 Gaelic football clubs, competition for lighted playing fields in winter is fierce. “It’s quite a challenge to rely on club facilities in the winter,” says Fitzmaurice, adding sometimes the team must travel to Limerick or Cork to train. Plus some of the players drive long distances for training since it’s such a big county – the new facility is geographically very central, he says. Fitzmaurice says the Centre of Excellence will be brilliant from the youth perspective too. “We’ll be able to expose players to high standards at as young an age as possible, and move them through the ranks with the best coaching and facilities. The state-of-the-art training facilities will inspire them to take the sport seriously,” he says. Pat Spillane, RTE game commentator and winner of eight All-Ireland medals, agrees that from a logistical point of view a central training location is vital. But perhaps more importantly is the need to create the correct environment for the next generation of footballers with proper pitches, coaches and gym equipment, he says. To date, €4.7 million has been raised for the €5.8 million project, leaving €1.1 million yet to be raised. “There’s a perception that the national GAA has plenty of money to pay for training facilities, but they spread their profits to all the GAA clubs in Ireland,” explains O’Sullivan. The national GAA/Croke Park, the Munster GAA Council and team sponsor Kerry Group each donated a million euros. Friends of Kerry pledged €700,000 and the National Lottery gave €300,000. The county board must raise the remainder, and last year’s New York fundraiser put a dent in the total needed, says O’Sullivan. “Winning the Sam Maguire Cup should be a big help in fundraising this year, as it gives the effort more gravitas,” says Fitzmaurice. “Raising money is tough work, and it’s really appreciated. The support from Kerry artists and businesses, as well as those overseas, is incredible, and humbling really from my perspective. The players and management are excited about using the facilities next year – the sooner the better,” he adds. “Supporting the Kerry GAA Centre of Excellence benefits everyone in the county because the success of the team is a great source of pride and joy for all those living in the Kingdom or with Kerry roots,” says New York event co-sponsor Maurice Regan, Listowel native and president of J.T. Magen & Company, one of the largest construction companies in the New York metropolitan region. Spillane says there’s a long history of Irish immigrants supporting the homeland, going back to the potato famine. “The Irish diaspora have never lost their sense of identity and love of their homeland, or their willingness to give back,” he says.